ALED JONES is a classical tenor but he knows a good singer when he hears one, regardless of what genre s/he sings in, and he has high praise for Sarah McQuaid. The Welshman said listening to the singer-songwriter and guitarist would “make the hairs stand up on the back of your neck”. 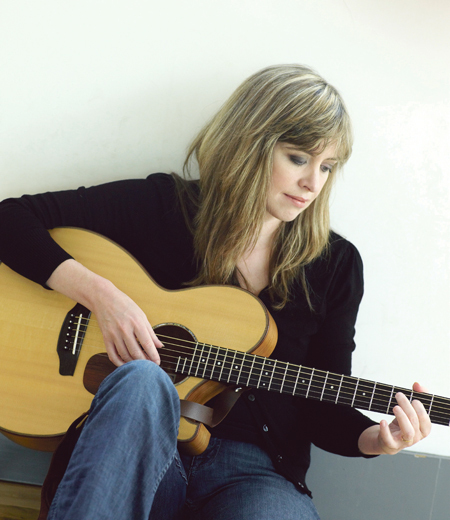 Galway audiences will see for themselves when Sarah McQuaid plays Monroe’s Backstage Bar on Sunday April 21 at 9.30pm. Her musical output reflects her eclectic background: Sarah was born in Spain, raised in Chicago, holds US and Irish citizenship, and lives in England. Refusing to be pigeonholed, she spans the genres with both her beautifully crafted originals and interpretations of material from around the globe. Sarah’s third solo album The Plum Tree and the Rose has enjoyed critical acclaim. Roots called it “impeccable”, while Hot Press said it should “feature on many end-of-year best-of’s”. Tickets are €10/8 and available on the door or through www.monroes.ie and 091 - 583397.